Born: 11 May 1856, Somerset East, South Africa . Died: 7 July 1928, On the Windsor Castle, at sea . Samuel Patton Impey, medical doctor, was the son of Richard Pulman Impey and his wife Hanna Tamplin Impey, born Hart. He was privately schooled on various farms in the Eastern Cape and Natal. After attending Gill College, Somerset East, for two years he matriculated through the University of the Cape of Good Hope in 1874. He then studied medicine at the University of Aberdeen, Scotland, qualifying as Bachelor of Medicine (MB) and Master of Surgery (CM) in 1878. Upon his return to South Africa he was licensed to practice in the Cape Colony in July 1878. He served as surgeon to the Second Regiment of the Cape Mounted Yeomanry during 1878-1880, and also appears have to practiced in Kimberley during this time. In 1880 he qualified as Doctor of Medicine (MD) at the University of Aberdeen, but his thesis has not been traced. From 1880 (or 1881) to 1887 he held an appointment as district surgeon at Aliwal North and during this time married Evangeline Ellen Symes of that town. They had one son and one daughter. In 1888 he was licensed to practice in the South African Republic (Transvaal), and from about May 1888 did so in Pretoria. In 1891 Impey was appointed chief medical superintendent of the leper colony on Robben Island and visiting magistrate to the convict station there. Persons suffering from leprosy were sent to the island from all over the Cape Colony. At the first South African Medical Congress held in Kimberley in December 1893 he claimed that 100 leprosy patients on the island no longer suffered from the disease and that there was no need to confine them. An investigation by the Colonial Leprosy Commission in 1894 did not support his claim and found that the medical records on the island left much to be desired. Undaunted Impey hoped to cure the disease with an artificially imposed superinfection of erysipelas (St Anthony's fire), a procedure that had been used earlier to treat cancers. He also argued that not all leprosy patients could be isolated for life. Those less in need of isolation should be identified on the basis of their type of leprosy, trustworthiness and home circumstances. Two papers by him, on "The etiology of leprosy" and "The communicability of leprosy", were published in the South African Medical Journal (2nd Series, Vol. 1) in 1893-1894. He also wrote two essays, "Leprosy in South Africa" and "On spontaneous recovery from leprosy" around this time. These, with two others by overseas experts, were published as Prize essays on leprosy by the New Sydenham Society, London, in 1895. In October 1895 he set out on an overseas tour of leprosy asylums, visiting most countries of Western Europe as well as East Africa, and consulted with leading experts on the disease. After his return an account of his tour was presented before the Eastern Province branch of the British Medical Association in April 1896, and a summary of his report on the tour to the Cape Parliament was published in Cape Town. That same year a book by him, A handbook of leprosy, the first medical textbook of note to be written in South Africa, was published in London. In 1896 Impey left Robben Island and set up a practice in Cape Town. At first he worked mainly on skin diseases and from about 1905 used X-rays to treat skin problems and cancer. He published further papers on leprosy in the South African Medical Journal (1898) and the South African Medical Record (1911, 1913), as well as three papers on the treatment of cancer with X-rays in the latter journal in 1917, 1918 and 1921. His practice was continued by his son, Cecil V. Impey, and others. 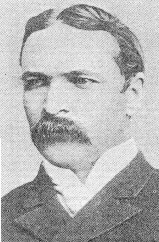 Impey became a member of the South African Philosophical Society in 1895 but his membership lapsed some time after 1900. As an amateur artist he painted in water colours and oils, and developed an interest in rock art. In 1892 he delivered a paper, "On Bushman paintings" before the South African Philosophical Society. Towards the end of his life he published a book on the topic, Origin of the Bushmen and the rock paintings of South Africa (1926), in which he ascribed the best rock art to prehistoric people of southern Africa who had preceded both the Bushmen and Bantu and had also painted in the French and Spanish caves. In the year his book was published he visited rock paintings near Great Zimbabwe and claimed they were made by ancient Egyptians. Needless to say his rather reckless interpretations were not supported by others. He died in 1928, on his way back to South Africa after a holiday in Europe. Dictionary of South African biography, Vol. 5. Dr Samuel Patton Impey. Geni, at https://www.geni.com/people/Dr-Samuel-Impey/6000000007538808595 Retrieved 2018-1-12. Findlay, G.H. Samuel Patton Impey, MD (Aberdeen) (1856-1928). South African Medical Journal, 1987, Vol. 71, pp. 381-385. National Automated Archival Information Retrieval System (NAAIRS). http://www.national.archives.gov.za/naairs.htm Documents relating to Samuel Patton Impey / Samuel P. Impey / S.P. Impey / Dr Impey. South African Medical Journal, 1896, Vol. 4, p. 52: "Eastern Province Branch, BMA". South African Philosophical Society. Transactions, 1897-1900, Vol. 8, 9 and 11, lists of members. Staats-almanak der Zuid-Afrikaansche Republiek, 1897, pp. 86-93: Naamlijst van de geadmitteerde genees-, heel- en verloskundigen, tandheelkundigen, chemisten en drogisten. University of the Cape of Good Hope. Calendar, 1884-5.